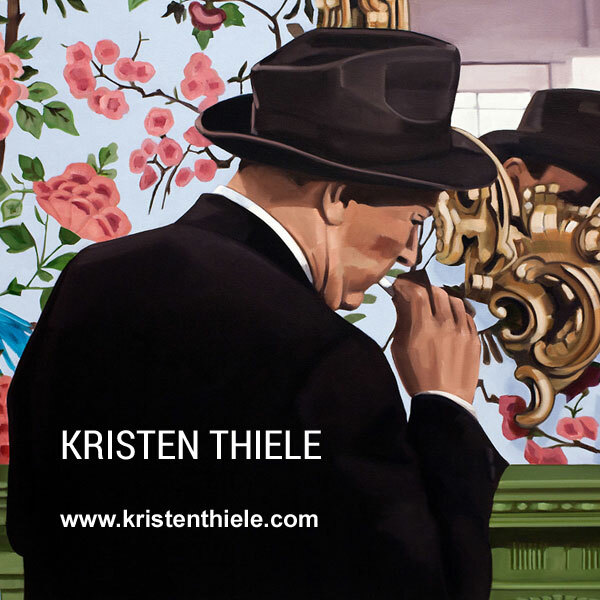 Kristen Thiele's paintings are derived from the films of Hollywood's Golden Age, depicting opulence and escapist themes and how they align with the concept of artifice. The contemporary artist is working from images dating back from the 1930s, images that have become new through their re-introduction into our contemporary consciousness via the platforms of modern technology. The painter works in Miami at Bridge Red Studios.